This newly constructed apartment complex is of a contemporary design and located in the centre of Golden Sands, approximately 70 metres from the golden sandy beach. The tranquil location in a natural environment offers you the opportunity of experiencing a relaxing stay. Every one of the comfortable and homely rooms has a balcony with sea or park views. However the resort in which we are situated is the largest in the area and an attractive tourist spot. 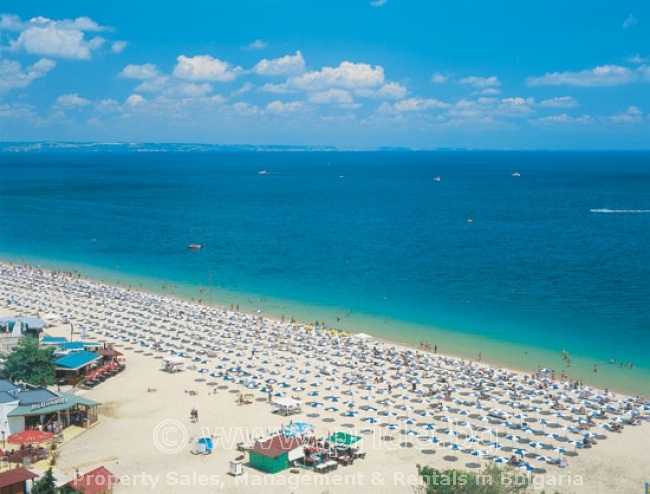 Varna, the most prominent city on the Black Sea coast, is nearby and features many sight-seeing prospects. We endeavour to create an air of exclusivity, a contrast from the building’s simple fa?ade. The luxurious interior houses fashionable furnishings with those personal touches which will make you feel at home. Come stay in your own apartment within easy distance of modern facilities and cultural possibilities to make for a satisfying holiday.